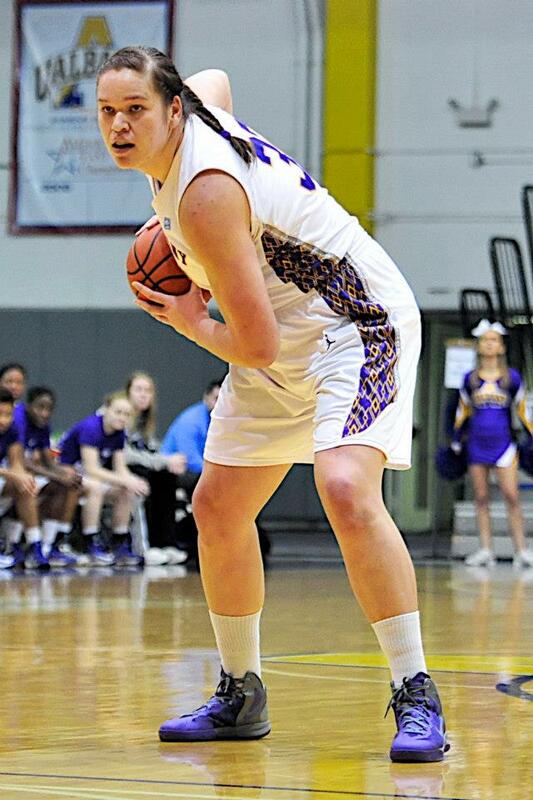 The University at Albany Women’s Basketball team is off to another spectacular start to their season. They currently hold a 16-3 overall record, including a perfect 7-0 in America East play. Megan Craig, a 6’8” sophomore center from Kamo High School in New Zealand, has been a big contributor to the team’s success this season as well as last year, when the Great Danes captured the 2011-12 America East Championship and punched their ticket to the NCAA tournament. Although the outcome of their match-up against Texas A&M—the defending national champions at the time—did not exactly go as the Danes had hoped, Craig believes that this is motivation to come back stronger this season. This season, Craig is averaging 11.5 points per game—second in the team in scoring, behind only Ebone Henry—and 4.9 rebounds per game, all while coming off the bench. In the Great Danes’ overtime win over the Hartford Hawks on January 19, she had a game-high 13 points to lead UAlbany, while also recording six rebounds (including five offensive rebounds) and two blocks. She played in 28 games for the Great Danes last season, including two starts, one against Texas A&M in the Great Danes’ first-round NCAA Tournament game. She scored a career and game-high 19 points on 9-of-11 from the floor in just 19 minutes against Binghamton on February 22, 2012. That performance earned her America East Conference Women’s Basketball Rookie of the Week honors. She averaged 4.6 points and 2.5 rebounds per game on the season. She was also second on the team in blocks with 27 and recorded at least one rebound in all but three games. Craig was a member of New Zealand’s national teams and won the U-19 national title as a member of the North Harbour squad in 2010. She was also a member of the New Zealand Women’s Force Basketball Academy and has been nominated for the Tai Tokerau Maori Sport Awards in the junior women’s category every year since 2008. Also in 2008, she earned Kamo High School’s Sportswoman of the Year and the ASB Northland Secondary School’s Basketball Sportswoman of the Year honors that same season. As a senior, she averaged 20 points, 15 rebounds and 3.5 blocks per game. Craig was also a regional representation player for Northland and North Harbour. She earned the Area Championship for Kamo’s netball squad. She even earned the team’s Most Promising Player award after posting the team’s top shooting percentage. Basketball was not the only sport she was involved in, as she competed in track and field in the shot put and discus and was a North Island Secondary School Games qualifier. As a student, she intends to major in business administration. Born on February 11, 1993, she is the daughter of Alan and Linda Craig. Alan, her father, is a former professional rugby player in New Zealand. According to Megan, he has had a big influence on her love for sports. Craig understands that the key to repeating as conference champions is to maintain focus and not let any team stand in their way. “The key to the rest of our season is to look at every team we face and to not let up,” she said.